Hitting the gym and lifting weights consistently is a lifestyle for those who are dedicated to making gains and seeing real, tangible improvements in their physique. There are many things one can do to maximize the likelihood of getting bigger and stronger, from getting enough rest, being a stickler for exercise form to chugging down a gallon of water each day. The key component, however, does not take place in the gym but after your workout is finished— during the recovery phase. You grow when you rest and recover, not when you lift. 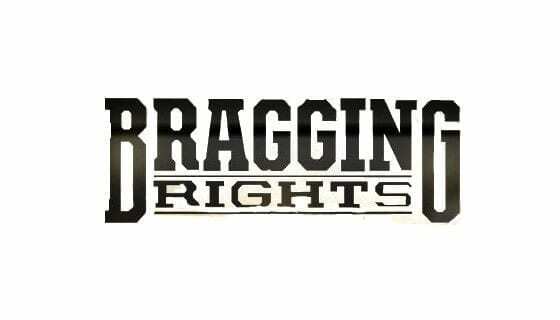 So what is the formula for optimal growth? Your recovery has to be up to speed, and refueling your body with critical nutrients throughout the day after intense training is essential to protecting gains and keeping your body in an anabolic state. Without proper recovery, you are dead in the water, awash in a sea of wannabees. There is an easy and great-tasting solution: replenish and recharge your muscles for new gains with Reload from NutraBio®. 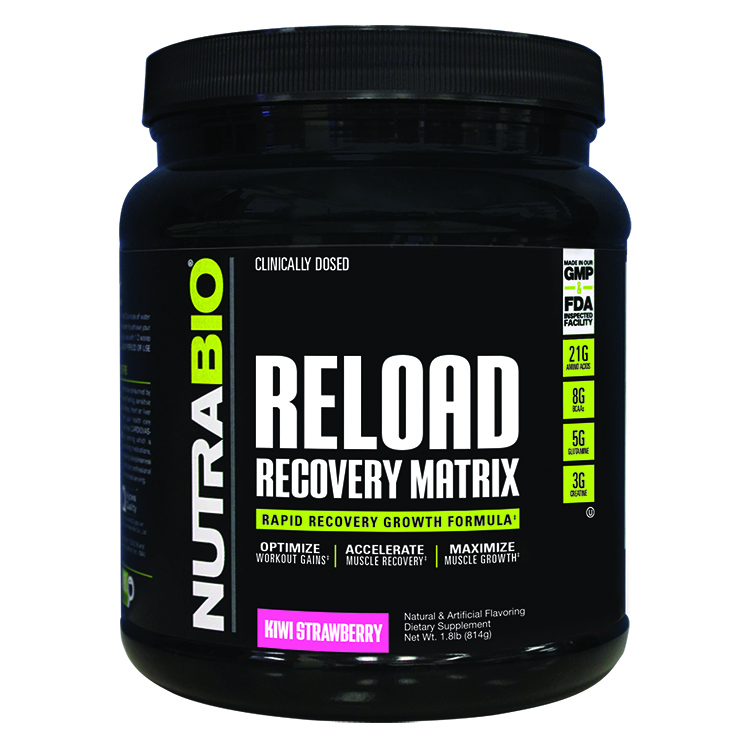 NutraBio® Reload contains key recovery-enhancing, muscle-building ingredients such as glutamine, creatine, beta-alanine, betaine and an unparalleled 8-gram dose of BCAAs to ensure optimal protein synthesis, decrease muscle soreness and ultimately have you ready to tackle your next training session with full intensity. Reload replenishes key nutrients and cofactors, and loads your muscles with phosphocreatine stores for optimal recovery and growth. 8,000 mg of BCAAs in the scientifically studied 2:1:1 ratio (leucine:isoleucine:valine), shown to promote muscle growth and recovery and reduce training-related soreness. 5,000 mg of glutamine to replenish energy for muscles (glycogen) after exhaustive exercise, which may lead to quicker recovery. 1,935 mg electrolyte and hydration optimizer that helps maintain water balance in the muscle, facilitates motor neuron function and increases exercise capacity. 1,600 mcg of CarnoSyn beta-alanine to buffer the negative side effects of hydrogen ion accumulation in muscles during and after intense exercise. This accumulation is thought to be the culprit behind DOMS (delayed onset muscle soreness). 1,500 mg of betaine anhydrous to combat fatigue, lower levels of lactate, and stimulate muscle protein synthesis. 1,500 mg of L-carnitine tartrate to reduce oxidative muscle damage and muscular fatigue. 1,500 mg of taurine to decrease exercise-induced DNA damage. 500 mg of Creatine MagnaPower for greater strength, power and muscle gains, as well as increased solubility and absorption. 500 mg of L-ornithine alpha-ketoglutarate, which promotes anabolic and anti-catabolic responses in the body— which may play a role in boosting recovery. 500 mg of the amino acid glycine, which plays a critical role in repairing damaged muscle tissue and is necessary for the biosynthesis of creatine. Reload is in a classification of its own. A true recovery formula from the most trusted name in sports nutrition, NutraBio®, a company that believes in using only the most efficacious, clinically dosed, and research-backed ingredients on the market without all the fluff. Reload contains no proprietary blends, fillers, excipients, chemicals, protein spiking, under-dosing, banned substances, hidden ingredients or any other harmful or unneeded additives. Reload is now available in a delicious Strawberry Kiwi flavor, so recovery has never been easier or tasted so good.